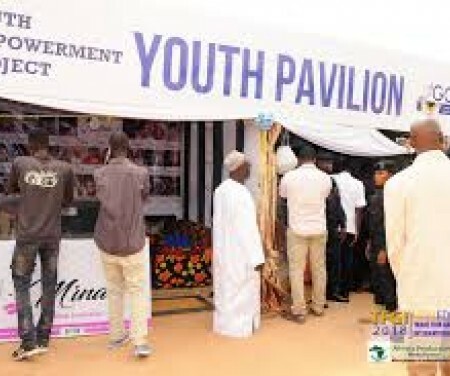 The Gambia Chamber of Commerce and Industry (GCCI) in in collaboration with The International Trade Centre through the EU - funded Youth Empowerment Project (YEP) is pleased to once again support youth enterprises through a Youth Pavilion at the Trade Fair Gambia International (TFGI) which will take place on April 6th to April 28th 2019. The Youth Pavilion will offer discounted stalls to youth-owned businesses to exhibit and sell their products and services. Interested youth-owned businesses can apply for a standard stall (3m x 3m) for GMD 1200 or a space at a shared space for GMD 600 at the Pavilion (90% discount). The Youth Pavilion will offer discounted stalls to youth-owned businesses to exhibit and sell their products and services. Interested youth-owned businesses can apply for a standard stall (3m x 3m) for GMD 1200 or a space at a shared space for GMD 600 at the Pavilion (90% discount). Please fill the application form below and submit all required documents to info@gcci.gm/ mnjie@gcci.gm or hand deliver to our main office at Kerr Jula, Bijilo.